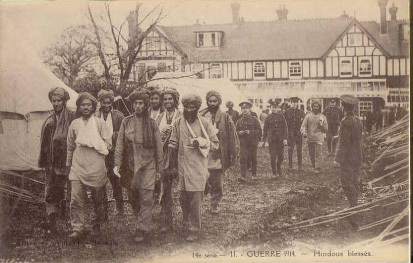 A total of around 14,145 Indian soldiers who were sick or were wounded in France and Belgium between October 1914 and November 1915 were sent to hospitals in England. The original plan was for them to be transferred to Marseilles by rail then on to Egypt and Bombay. This entailed provision of hospital ships which were quickly organised, but owing to the difficulties in arranging transport by rail to Marseilles the idea of using that port was abandoned. Instead, two hospital ships earmarked for the Indians were allocated to the English Channel and it was decided in November 1914 that Indians would be hospitalised in England. This was complicated by the lack of ready hospital accommodation, but various buildings were eventually selected in Bournemouth, Brockenhurst and Brighton (in the meantime, several hospital ships were utilised as floating stationary hospitals). The offer was as quickly accepted and work began to clear the Pavilion, Dome and Corn Exchange (then a museum) of their contents. Within about a week these buildings had been turned into a hospital with numerous wards (totalling 724 beds) and two operating theatres. 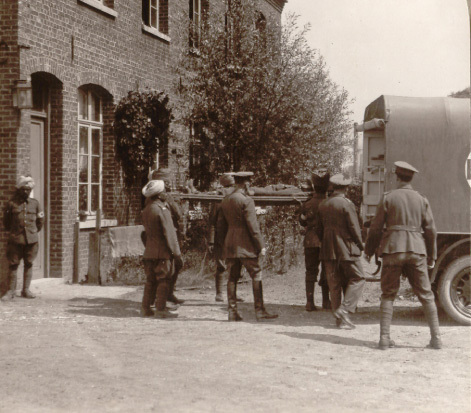 Just thirteen days after the initial proposal the first Indian wounded were received. The problems of converting old and unsuitable buildings to use as a hospital were manifold. There was not even piped water to most of the complex so hot and cold running water was an early priority for the wards, operating theatres, baths and so on. Because of differences of caste and religion special sanitary and cooking arrangements had to be made: there were nine kitchens of three types: one for Muslims (then known generally as Mohammedans), another for meat-eating Hindus and a third for vegetarians. Beef was not allowed for fear of offending Hindus, and pork was forbidden so as not to upset the sensibilities of Muslims. Each ward had two water taps, one labelled for Hindus and the other for Mohammedans, and all notices were in Hindi, Urdu and Gurmukhi. Religious observance was carried out in the Pavilion grounds (which were in any case available for the patients’ leisure and exercise); there was an area for the Mohammedans to pray facing Mecca and a marquee was transformed into a Gurdwara (Sikh temple). At about the same time as the Royal Pavilion was adopted as a hospital, the Poor Law Guardians offered up the block of buildings at the top of Elm Grove that was then the Poor Law Institution and now the Brighton General Hospital. 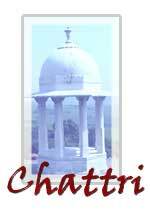 The original inhabitants were installed in various smaller premises around the town. The Institute was quickly renamed the Kitchener Indian Hospital and as it was ready for occupation the only major changes were the disposal of obsolete and unserviceable equipment and the installation of three ready-equipped Indian Army medical units, known as 1, Y and Z Indian General Hospitals, complete with their staffs. The hospital had beds for 76 officers and 1724 other ranks.